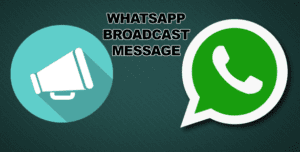 Home/Whatsapp/Why Some Recipients Don’t Receive The WhatsApp Broadcast Message? Why Don’t Some Recipients Receive The WhatsApp Broadcast Message? 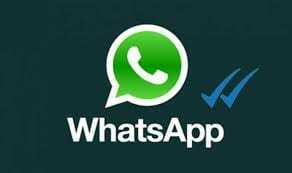 WhatsApp is a cross-platform messaging app that allows users to communicate over Internet data or Wi-Fi without having to pay for SMS. WhatsApp allows users to send WhatsApp Broadcast Message, which is a mass message to many people that only allows them to reply individually to you and does not let recipients see each other. It is ideal for personal announcements, invitations to celebrations, and such similar messages. 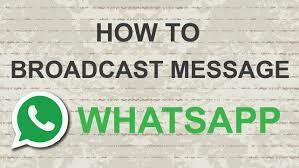 To begin with, WhatsApp broadcast means to transmit a message to multiple contacts. So, to send a broadcast, a broadcast list is created that allows you to send a text to many people at a go. Suppose you are a business owner who regularly wants to promote their products or an individual who wants to send a festival greeting to multiple contacts or an HR who regularly needs to inform the employees about the developments in the office, for this you don’t need to send an individual message to everybody nor do you need to create a group. This is where broadcast lists come into the action. In the interest of the sender, it’s quite helpful for them as it saves a lot of time since the sender doesn’t have to message the contacts individually. As a boon to the receivers, their privacy is maintained with the broadcast lists, since the WhatsApp number is only known to the sender of the broadcast, and not to the entire broadcast list unlike WhatsApp groups, where every member can see the number. You might be wondering, “Groups do the same thing except for the privacy part, why not create a group?” That’s because there is a lot of difference between the two. As you know, conversations in the WhatsApp groups are many to many. Meaning, every group member can send the message, every group member can see/read the message. However, the same is not the case for WhatsApp broadcasts. In broadcasts, the conversations are one too many. Meaning, only the admin can send the message to the broadcast list. With a group, a reply by any member goes to the group conversation and can be seen by everyone in the group. With the broadcast, when the receiver replies, the reply is only sent to the sender. So, basically, replies in WhatsApp group are many to many while in a Broadcast it is one to one i.e. replies to broadcasts happen privately between the sender and the recipient. Although a separate chat thread is created in the sender’s chats for the broadcast list where he can send future broadcasts, messages sent by a broadcast are added to the individual chat history of the receiver. Hence, no separate thread is created for the recipient. Whereas, group messages are sent and delivered in the group chat and not in the individual chat history. To add a person to the WhatsApp group it is not necessary that the receiver should have the admin as their contact; only the admin needs to have them in their contact. Also, a new feature was introduced a while ago, where if you share a link to the WhatsApp group, there is no limitation on being in each other’s address book. But with the broadcasts, it is necessary for the receiver to have the sender’s number in their address book; otherwise, broadcast messages won’t get delivered. Also, as mentioned before, broadcast lists will not reveal the personal information of members since messages arrive privately to the recipient. Moreover, even the replies happen privately between the two. However, one thing that remains the same for both of them happens to be the maximum limit of members. WhatsApp provides a maximum limit of 256 members both in WhatsApp groups and broadcast list. Tap the three vertical dots (Menu button) present in the top right corner and select “New Broadcast” from the menu. Tap the contacts that you want to add to your broadcast list and then tap the circular green check button at the bottom right corner to create the list. Once you tap the check button, a new chat thread will open. 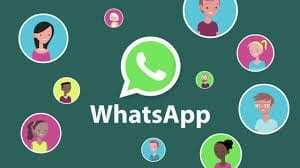 In order to send a WhatsApp message to multiple contacts or to broadcast a message, you have to use this new broadcast chat thread. After you have created a broadcast list (which you can further edit, more on that below), now to send the broadcast message, open the newly created broadcast thread and enter your message there. You get all the features that you get in an individual chat or a group like Emojis, media share, location sharing etc. Once you tap the send button, the message will be delivered to the recipients as an individual message from you. By default, WhatsApp keeps the number of recipients as the name of the list. This is okay if you have just one list but if you have multiple broadcast lists or don’t like the default name, you can rename it. 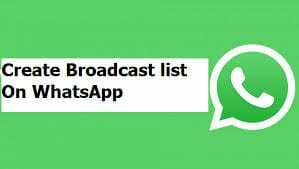 Open the Broadcast list on WhatsApp. Tap the three vertical dots in the top right corner of the list and select “Broadcast list info” from the menu. In the bottom right corner of the Broadcast image, you will see a pencil or edit icon. Tap it and give a name to your broadcast list. To add people, tap the “Add recipient” button under the Recipients section and select the contacts to add to the list. To remove people from the list, long touch the contact present under the Recipients section and select “Remove from broadcast list”. Scroll down and you will find “Delete broadcast list” option. Tap it and confirm the pop-up menu to delete the list. As a sender, you can delete both the group and the broadcast list from your device but as a receiver, you can only exit from the WhatsApp groups. That’s because, as a receiver you know which WhatsApp groups you are a part of but the same thing doesn’t apply to WhatsApp broadcasts. Hence, to leave a broadcast list you either need to ask the sender to stop sending you the broadcast messages or you have to take the ultimate step of either blocking them or removing them from your address book. Below mentioned are few of the reasons that clearly states why some recipients don’t receive the WhatsApp Broadcast Message. In certain cases, the message won’t be delivered due to the incorrect WhatsApp Number Format. The number of the contact you are trying to message on WhatsApp has not been entered correctly on your phone. For International Numbers: When adding a contact’s international WhatsApp number, make sure to save it in your phone address book, start with a plus sign (+). Then, write the country code, followed by the full phone number. For Local Numbers: Enter the phone number as if you were calling on the phone. As said above, only contacts who have saved your WhatsApp number on their mobile phone will receive your broadcast message. If recipients are not getting your broadcast messages, check to make sure they have added your number to their address book. In group chat, there is no need for saving the contact. You can no longer see a contact’s last seen or online in the chat window. You do not see updates to a contact’s profile photo, status etc. Any messages sent to a person who has blocked you will always show one tick mark indicating your message has been sent and never show a double tick i.e. message delivered indication. They might have seen the notification on their screen but did not launch or install the app (especially common if the recipient uses an iPhone). Is this possible when the contact number is not saved but the message will sent?????? If they dont save your number. If you send in broadcast , it wont be delivered to them .